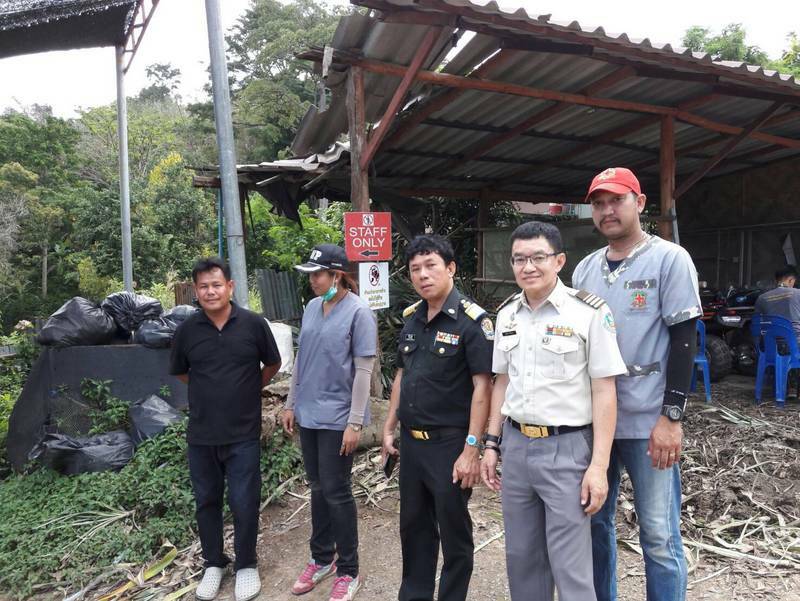 PHUKET: Livestock officials carrying out the current campaign to identify and register all legal elephants in Phuket got a serious fright yesterday (Jan 19) when a 15-year-old bull elephant reared and bolted while the officers were trying take a blood sample. 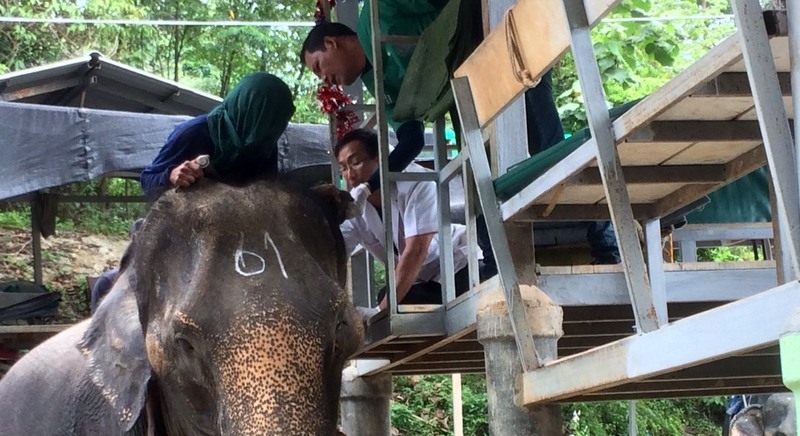 A team of 30 officials from the Phuket Provincial Livestock Office were taking blood samples and checking microchip implants from the six elephants at the Phrayai Changthai elephant camp in Soi Yodsanae, in Chalong, when the incident happened. 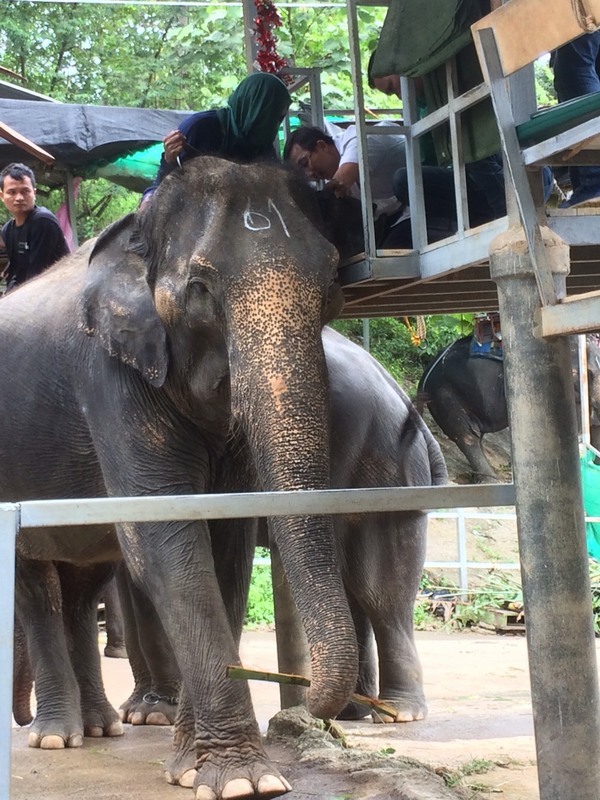 “When we came to check the 15-year-old male elephant called ‘Kongthong’, the mahout warned us that the elephant would not like this,” explained Thawee Sawadwech, Livestock Office Chief for Phuket’s Muang District. However, the officers continued with their efforts and inserted the large needle. “Kongthong reared his head up then ran off. 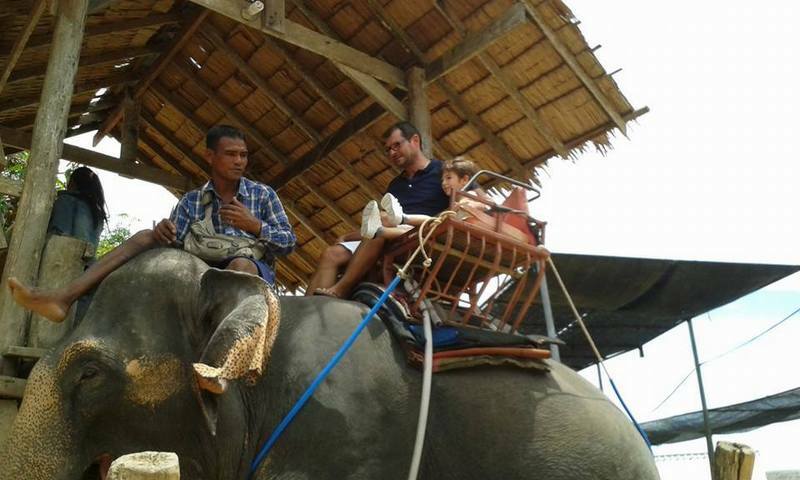 His mahout couldn’t control him, but luckily the elephant stopped about about 100 metres away,” Mr Thawee said. However, while Kongthong was fleeing, he bumped into a pickup truck belonging to a trainee at the camp, causing minor damage to the vehicle. 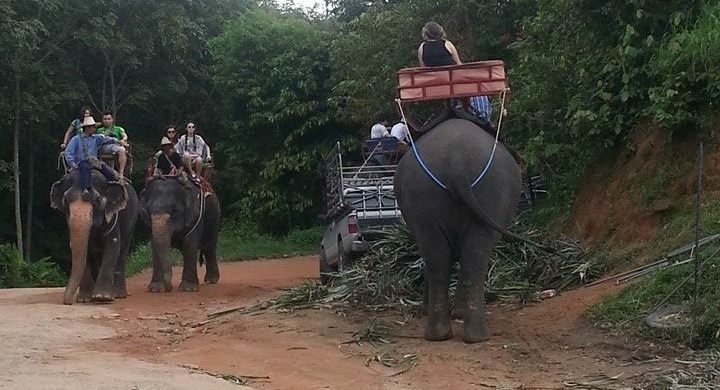 “Kongthong did not suffer any serious injuries in the collision, and the elephant camp owner paid for damage,” Mr Thawee confirmed. “Thankfully nobody was injured or killed,” Mr Thawee said. 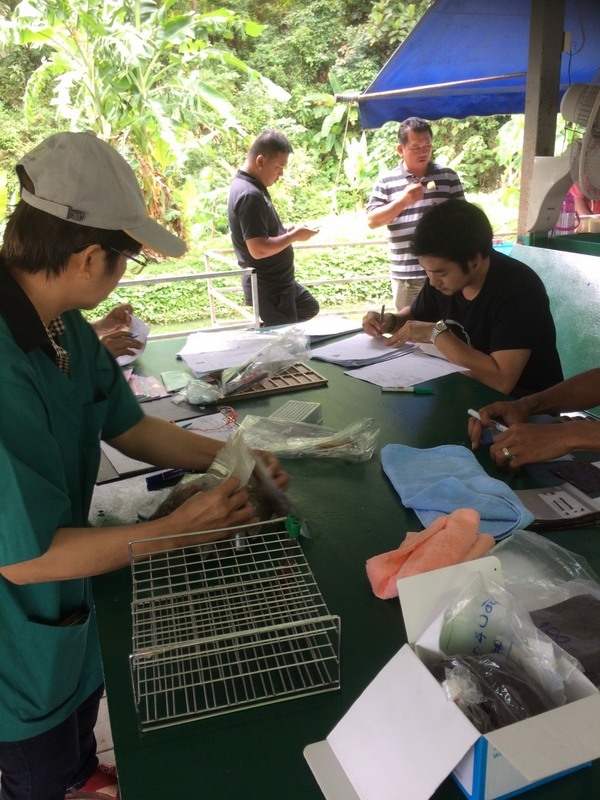 “Although we didn’t get the full standard volume of blood sample from Kongthong, we did get 6cc, which is enough to carry out our DNA tests,” he added. The campaign to crack down on elephants trafficked onto the island began on Wednesday (Jan 18), with National Park, Wildlife and Plant Conservation Department (DNP) and PPLO officers setting themselves a five-day deadline to check and confirm the identity of all 222 elephants in 23 camps across the island. “We have 115 more elephants to test. I am pretty sure we will finish on time,” Surajit Witchuwan, Chief of Phuket Provincial Livestock Office told The Phuket News today. Elephant owners have until next Thursday (Jan 26) to register their pachyderms with the DNP, Supot Praedpring, Director of the DNP regional office in Nakhon Sri Thammarat, warned on Wednesday. “After this day, any elephants not correctly registered with the DNP will be seized and the owner will face legal action,” Mr Supot warned.